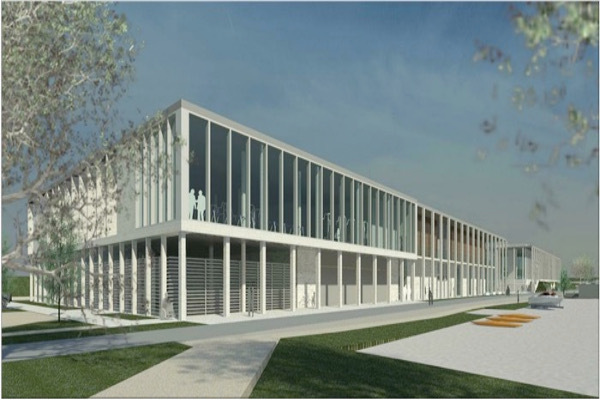 Armagh City, Banbridge and Craigavon Borough Council has appointed Farrans, one of the UK and Ireland’s largest and most successful building contractors to construct the new South Lakes Leisure Centre. The company have moved on site to begin initial early works for the new leisure development. The Watersports Centre has been closed and cleared for demolition. The hoarding for the building site is being erected and will be finished in March 2018. Demolition of the Watersports Centre will start in April 2018. New temporary accommodation for the Watersport Centre will be placed in the grounds of the Civic Centre. The Watersport Centre will operate from this site for the duration of the build. Ground works will take place on site for a 3 month period until June 2018. June onwards will see the build of the new facility starting. The underpass from Drumgor will remain open only to allow access to the bus stop on Lakeview Road heading towards Lurgan. 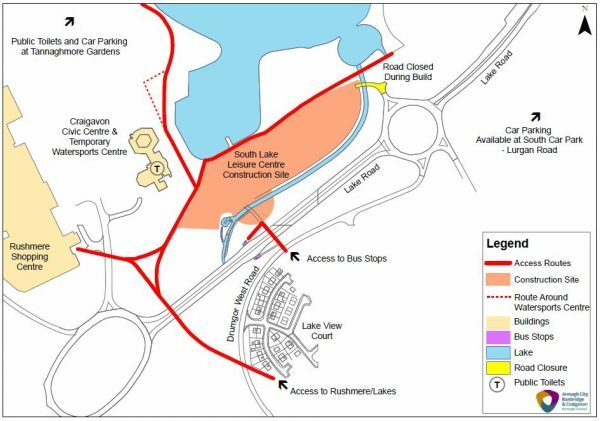 Access from Drumgor to Rushmere shopping Centre and to the Lakes will be via the footbridge over the Lakeview Road. The car park at the old Watersport Centre will remain closed throughout the duration of the build; alternative parking options include the South car park situated on the Lurgan Road, Tannaghmore Gardens and the Boalie carpark (Kilvergan Road), please refer to the map below. Public toilet provision will be provided at Tannaghmore Gardens and, in due course, at the temporary Watersport Centre (within the grounds of the Civic Centre). Access around the Lakes for walkers and cyclists will be maintained both during and after the building of the facility. For more information on the South Lakes Leisure Centre project, click here!